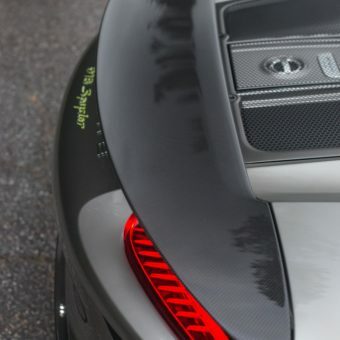 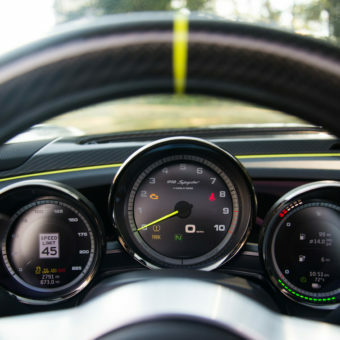 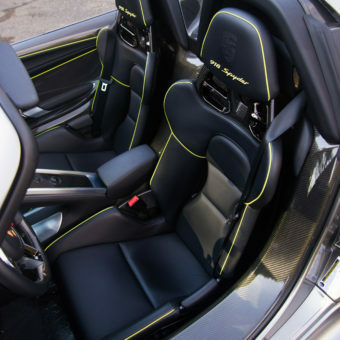 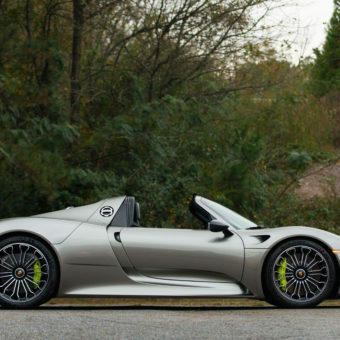 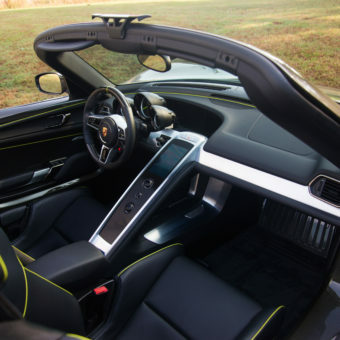 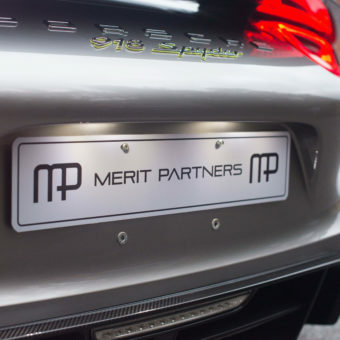 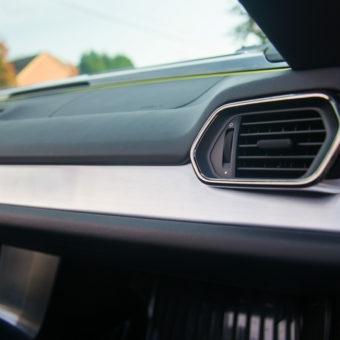 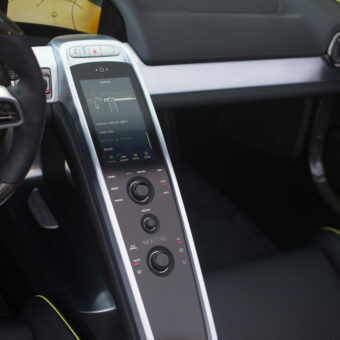 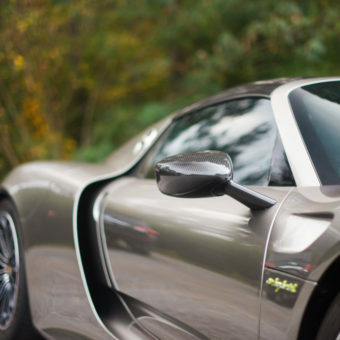 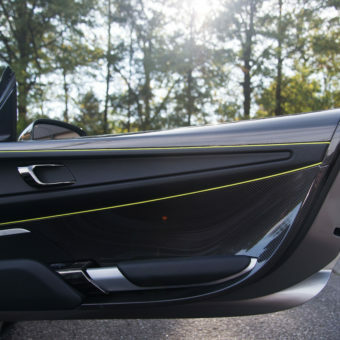 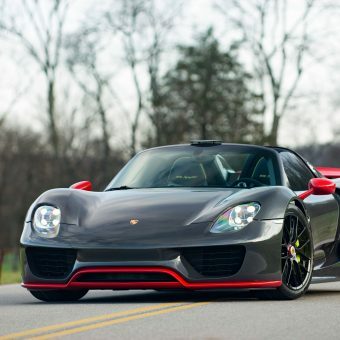 Merit Partners is pleased to offer this 2015 Porsche 918 Spyder for sale presented in Liquid Metal Silver over Onyx Black Leather with Acid Green Piping. 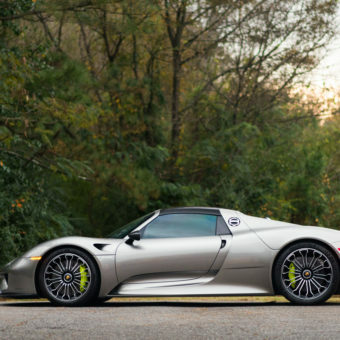 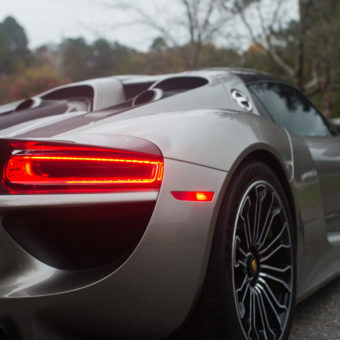 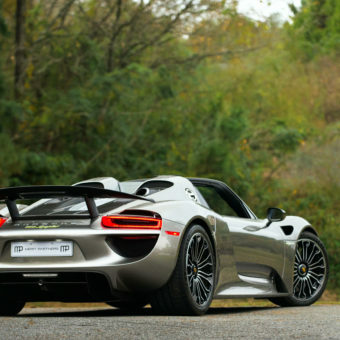 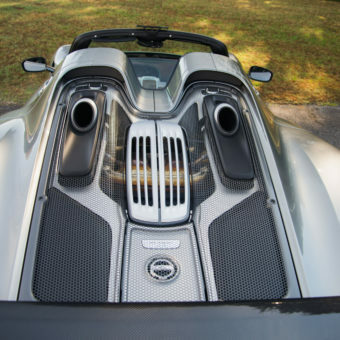 As 1 of 918 examples worldwide and 1 of only 300 imported to the US, the 918 Spyder is part of the ultra-exclusive “Holy Trinity” of supercars. 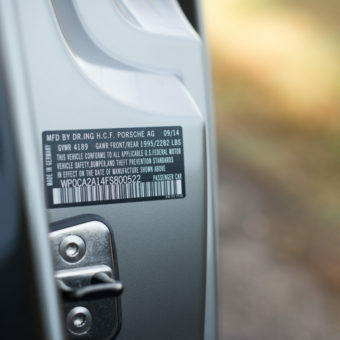 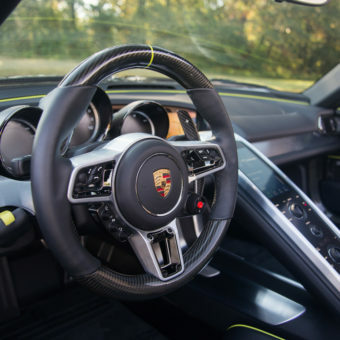 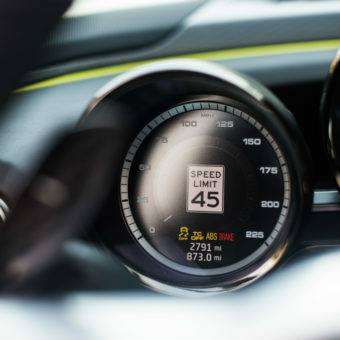 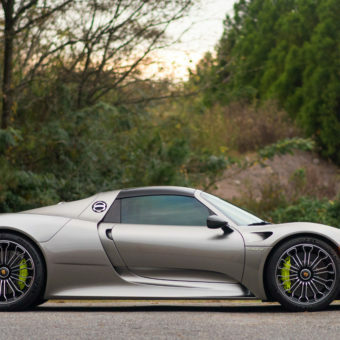 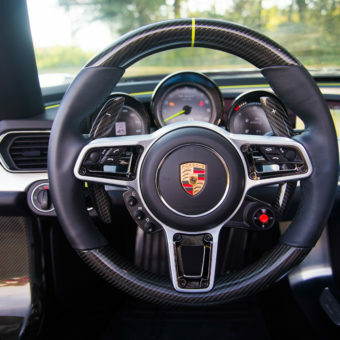 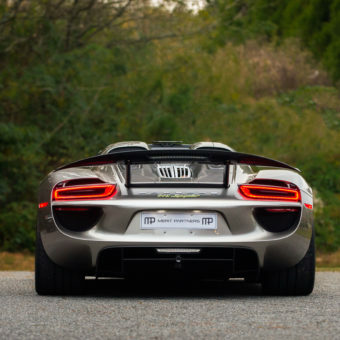 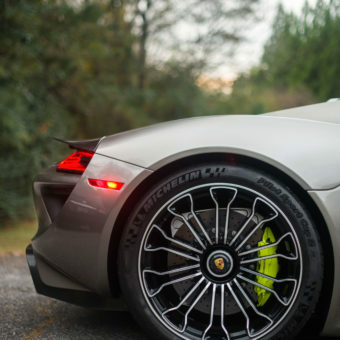 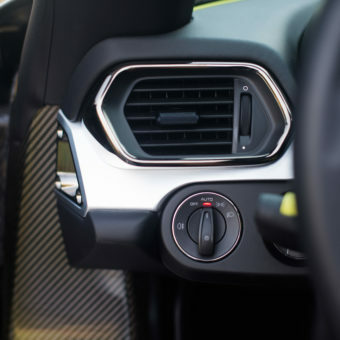 Known for its revolutionary hybrid drivetrain and myriad of Porsche racing inspired technological features, the 918 epitomizes the cutting edge of modern era high performance vehicles. 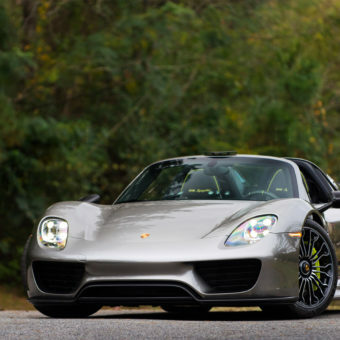 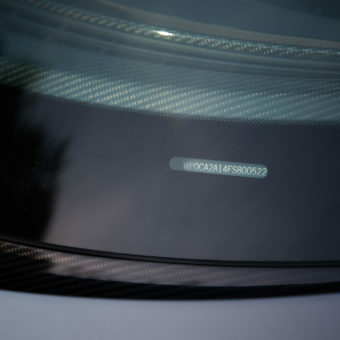 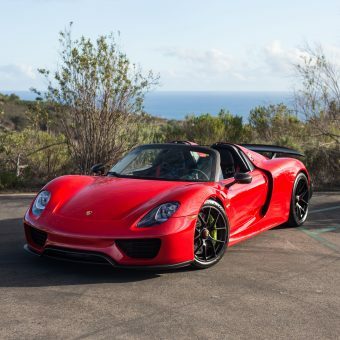 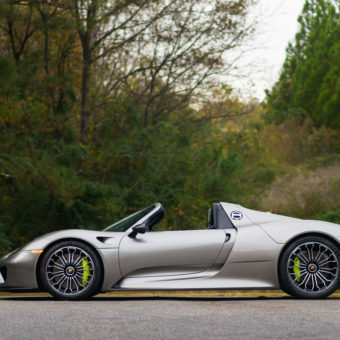 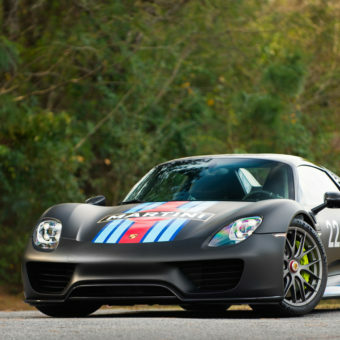 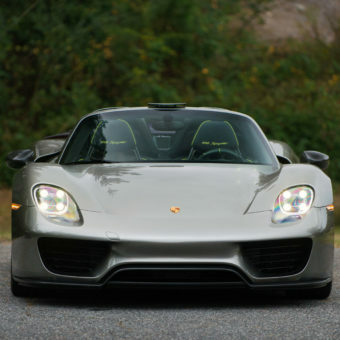 Pristine and well optioned one owner 918 with only 2,791 miles. 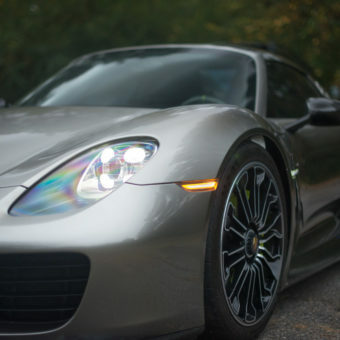 Fully protected with clear paint protection film over the entire vehicle, the Liquid Metal Silver exterior remains flawless. 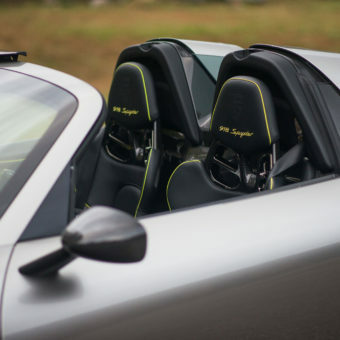 This example is very well equipped and adorned with Carbon Fiber pieces throughout, including the roadster tops and rear wing.